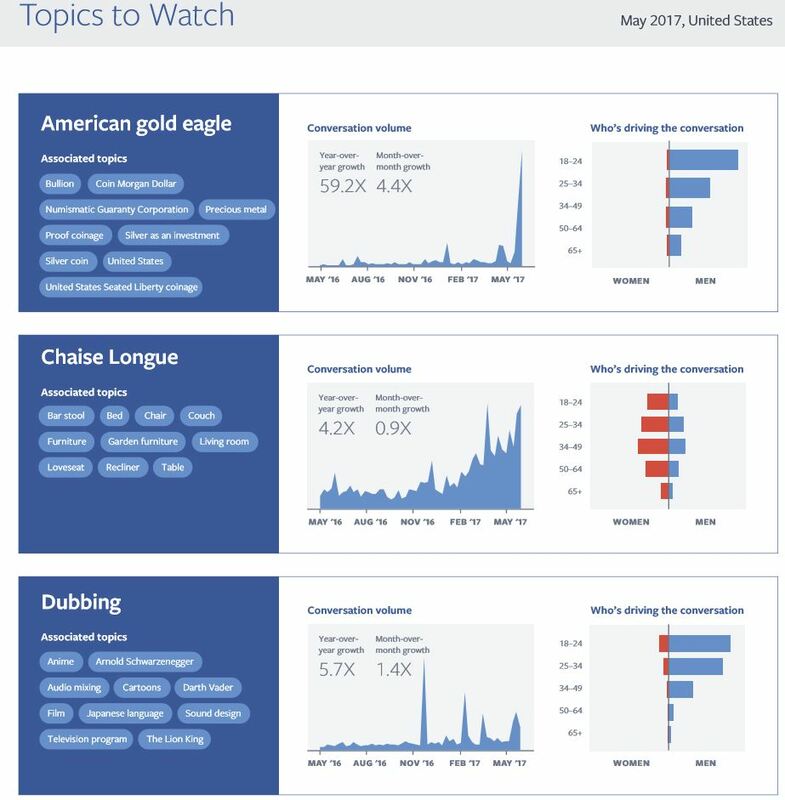 Money was on the mind of Facebook users in May—specifically coins and, more specifically, the American Gold Eagle, according to Facebook IQ’s summary of Topics to Watch for the month. 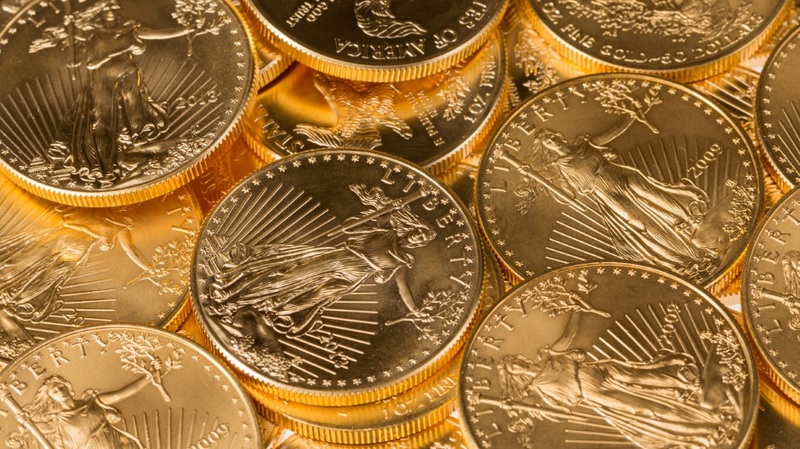 Men dominated discussion about the American Gold Eagle, which soared 59.2 times year over year and 4.4 times month over month. Chaise lounges, with women dominating conversation, up 4.2 times year over year and 0.9 times month over month. Dubbing, mostly discussed by younger males, up 5.7 times year over year and 1.4 times month over month. 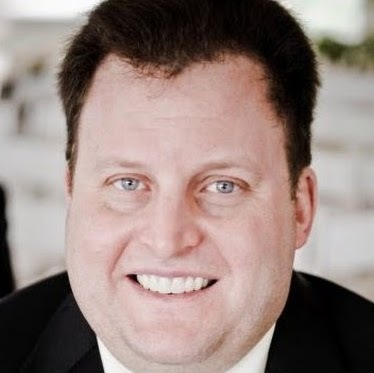 Hill-start assist, with younger males also driving conversation about this automotive feature, up 6.4 times year over year and doubling month over month. Ketone, an organic compound that helps combat diabetes, up 6.2 times year over year and 0.8 times month over month, largely driven by women. Memory foam, with both genders feeling a little sleepy during May, up 3.5 times year over year and 1.2 times month over month. 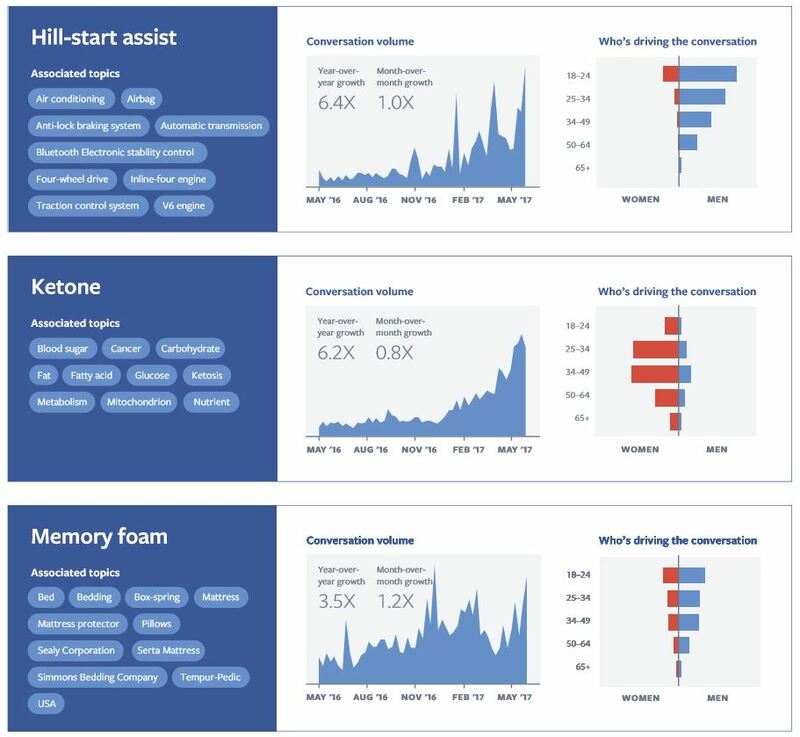 Facebook IQ’s predictive tools analyze the long-term consistent growth of a topic on Facebook. Using data from hundreds of thousands of conversations, the social network said it’s able to forecast what discussions will continue to escalate based on how other topics normally trend upward in volume, variance and rates of consistent growth. When predicting whether chatter around specific topics will increase, Facebook stated that early tests have been 80 percent accurate.